Online Resource / Tune In Making things new (Sheree Anderson). A groovy one. Great for kids, and lots of fun. Sound sample, lyrics and downloadable songbook. Good for kids. Online resource Behold I make all things new (Bruce Harding) A nice short song with a folky feel. Sound sample. Sample sheet music. Purchase here. W&R27 God of Creation All-Powerful (Edith Margaret Clarkson) Good solid words to a well known tune (SLANE). Sound sample and lyrics. New words to old tunes. Cha658 / URW081 Restless Weaver (Ola Cricket Harrison) Excellent words of our desire to help build God's new earth - caring for creation and desiring justice for all. Sung to the familiar tune HOLY MANNA. Lyrics. New words to old tunes. TiS 626 / AHB 557 / CH500 / GA423 / Lau869 Lord of creation to you be all praise! 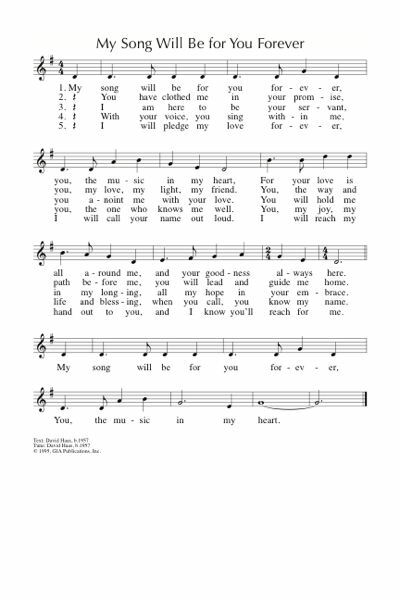 (John Winslow) A wonderful traditional, and quite inclusive, hymn to the familiar tune SLANE. Lyrics. Oldy-but-a-goody. Online Resource Stronghold (Richard Bruxvoort Colligan) A good reflective refrain and simple verses. Sound sample, lyrics, downloads. Iona (M&G) / CH379 Holy God, holy and mighty, holy and immortal (Agios o Theos) I think a version of the Trisagion "Holy God, Holy Mighty, Holy Eternal, Have Mercy On Us" is the only honest response I can make to this reading. This one may work well for prayers of confession. You may like to simply use the refrain, the rest is a bit difficult to make accessible. NCH748 / STB122 Holy God holy mighty (Francisco Feliciano) Another good Trisagion - more appropriate for the congregation. 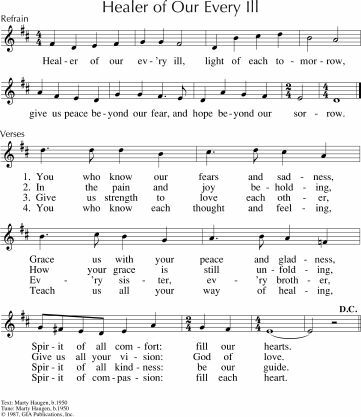 NCH Psalter We ponder your steadfast love O God (McMane) A lovely simple refrain and a cantor part which may be read or sung. TiS 458 / AHB 388 / NCH095 / CH220 / UMH690 / VU437 / Songs for Liturgy / LBW274 / ELW569 / GA539 / A&M24 / GtG677 / PH546 / CP029 / CP(E) 22 / 82Hml-024 / Lau679 / StF147 / MP641 The day you gave us God is ended (John Ellerton) A lovely older hymn. Suitable only for evening services. Old school lyrics & sheet music. Oldy-but-a-goody. SiS635 / StJ / SFFS2002 / GtG621 / W&R653 / MP306 I Will Call upon the Lord (Michael O'Shields) Fun. Don't take it too seriously; break into a round if you feel like it. I always imagine crazy 80s hair metal drums and guitars for the chorus. There is a second verse in some sources which really isn't needed (or good). Lyrics and chords. I may have listened (accidentally, of course... ahem) to Petra in the 80s. *Taizé / CH801 / MV170 / StJ / GtG205 / WoV665 / ELW642 / SFFS 2179 / GC408 / GC(II)430 / G(3)500 / CP553 / W&R399 / Cha523 / URW394 / StF783 / Lau244b Live in charity / Ubi Caritas (Taizé) Usually sung in Latin, but can also be sung just as beautifully as "Live in charity and steadfast love, live in charity; God will dwell with you." Sheet music and sound samples for practice. Good for kids. *Taizé / A&M842 / G(3)697 / SP328 Nothing can ever come between us and the love of God (Taizé communitiy) A newer chant “Nothing can ever come between us and the love of God, the love of God, revealed to us in Christ Jesus”. It has a long “Oh…..” in it for a cantor part, but I have sung it many times with just a simple Oh and no cantor and it works fine. Sound samples and sheet music for practice. Tune In / Online Resource Spirit of the Father / Alive in me (Sheree Anderson) Catchy song about God’s spirit living in us. "Take hold of the hope that I give, trust in me, reach out for the love you can live, eternally”. Lyrics, sound samples and downloadable songbook. FFS011 Come teach us Spirit of our God (Shirley Murray) Excellent words and a good tune. StJ / HPP564 / GC(II)584 / G(3)693 All Will Be Well (Julian of Norwich / Steven Warner) refrain is good. think this may have verses, but I don't have the book. TiS 129 / AHB 56 / AoV1-029 / ATA 131 / NCH547 / CH555 / UMH378 / VU266 / LBW448 / ELW779 / A&M587 / GA437 / HPP334 / GtG649 / PH280 / G(II)434 / GC612 / GC(II)586 / G(3)645 / CP352 / CP(E) 375 / W&R422 / Cha546 / ZSS202 / Srce25 / Lau846 / StF440 / MP031 Amazing grace how sweet the sound (Isaac Newton) I once was lost... I think you all know this one. Nice youtube of some Sacred Harp singing, and a story. I love the recording of Dr G Yunipingu singing this in Yolngu; so sad that he is no longer singing on this earth. Oldy-but-a-goody. *ATOK 383 / AoV2-057 May we see Christ's loving face / Icon of grace (Monica O'Brien / Trisha Watts) A beautiful chant. TIS 624 / W&R453 / StF492 Christ be my leader by night as by day (Timothy Dudley-Smith) Excellent words of following Christ in times of struggle to a traditional Scottish melody. Lyrics and sheet music. Tune In / Online Resource Father of earth, Mother of sea (Dave Brown) A latinesque song about the Spirit being with those who are victims, prisoners and the sick, as well as present in our prayers. Note particularly the phrase “Spirit who prays with us while war goes on… pray with us Lord”. Lyrics, sound samples, and downloadable songbook. ATW 463 / Iona (T1AU) / ELW721 / SFFS 2219 / A&M835 / GtG750 / GC(II)451 / G(3)528 / W&R296 / URW436 Goodness is stronger than evil (Desmond Tutu / Iona) Words from Archbishop Desmond Tutu. "Victory is ours, victory is ours, through him who loves us". Some congregations change the last line to "Compassion is ours, compassion is ours...". It depends on the context in which you sing it, I suppose. Sound sample. Good for kids. *TiS 419 / NCH270 / CH592 / A&M252 / UMH544 / VU205 / WoV685 / ELW403 / HPP222 / GtG285 / PH314 / CP635 / CP(E) 185 / W&R327 / SP92 / 82Hml-513 / StF389 Like the murmur of the dove's song (Carl Daw) Excellent words and a simple tune about Christian unity. 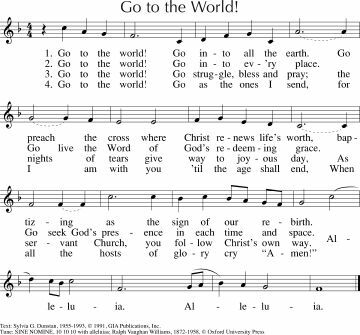 Each verse ends with "Come holy spirit, come". Lyrics and sheet music. Online Resource / SP&P081 / CP086 More Than We Can Ask (Richard Bruxvoort-Collican) A great chant for use during intercessions. Very simple and genuine. Sample and lyrics here. *Online Resource O Tender God have mercy (Richard Bruxvoort-Colligan) A nice chant which would be great for the prayer of confession. Lyrics and very breathy sound sample. AoV1-139 O God Nothing Can Take Us from your love (Christopher Walker) Good refrain. Good verses. Cantor and congregational response. Lyrics and sound sample. TiS 380 / AHB 303 / NCH253 / CH419 / UMH308 / VU173 / LBW145 / ELW376 / A&M218 / HPP203 / GtG238 / PH122 / CP210 / CP(E)160 / W&R310 / Cha218 / Srce694 / Lau287 / StF313 / MP689 Thine be the glory risen conquering Son (Edmond Budry) One of the few older hymns that doesn't require updating, and beautiful harmonies... A great classic hymn! Lyrics. Oldy-but-a-goody. G(3)759 God Sends Us Forth (Tony Alonso) A folksy 6/8 minor key song of sending out. Sheet music sample. TiS 749 / AoV1-154 / AoVK-131 / ATE 305 / NCH360 / Iona (SBL, Freedom is coming) / CH800 / UMH497 / VU572 / WoV773 / ELW809 / GA493 / A&M481 / HPP340 / GtG746 / G(II)484 / GC677 / GC(II)674 / G(3)776 / W&R713 / Cha447 / SP234 / StF782 Send me Jesus / Thuma mina (South African) You all know this one, right? If you don't - it's great - simple, repetitive, and meaningful. Good for kids. Sheet music sample and lyrics. Youtube. FFS63 These hills where the hawk flies lonely (Colin Gibson) This is a really beautiful song that would work well for all the Seasons of Creation Sundays. Lyrics & sample sheet music. UMH584 / VU512 / StJ / WoV756 / ELW579 / GA313 / A&M499 / HPP542 / GtG298 / PH429 / GC456 / GC(II)466 / G(3)544 / CP433 / W&R592 / Cha459 / SP162 / 82Hml-528 / Lau870 Lord You Give the Great Commission (Jeffrey Rowthorn) Good traditional hymn of evangelism. Lyrics and sound sample. Oldy-but-a-goody. NCH154 / UMH251 / VU43 / LBW070 / ELW290 / HPP110 / PH029 / GtG136 / GC359 / GC(II)363 / G(3)428 / W&R218 / Cha167 / ZSS59 / 82Hml-099 / Lau164 Go tell it on the mountain (Traditional) This song would work very well for Mountain Sunday, but I would just sing the first verse (not all the Christmassy ones!). You might even want to make up your own verses to fit with the themes of your service. Good for kids. Church copies Flower of the forest (John McRae) I am not sure of the source of this, but we have it in our folders at church; it has themes of creation and specifically mentions mountains, forests, and oceans. PH287 God Folds the Mountains Out of Rock (Timothy Troeger) Pretty amazing words of humanity's creative responsibility. Iona (LFB) / CP424 Sing praise to God on mountain tops (John Bell) Lovely words to traditional tune THE VICAR OF BRAY. 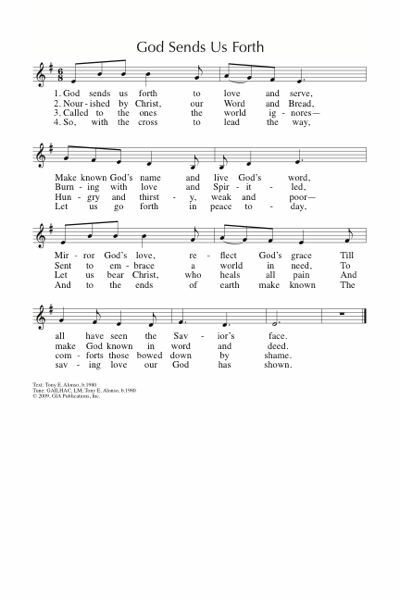 Mountains are only mentioned in the first line, but it's a good creation-centred hymn. Lyrics. MV152 You who watch the highest heavens (Norm Habel) A song calling us to stop looking for achievements, and impressive manmade or heavenly beauty, but to come back to earth and find God in the Earth. FFS63 These hills where the hawk flies lonely (Colin Gibson) This is a really beautiful song that would work well for all the Seasons of Creation Sundays. 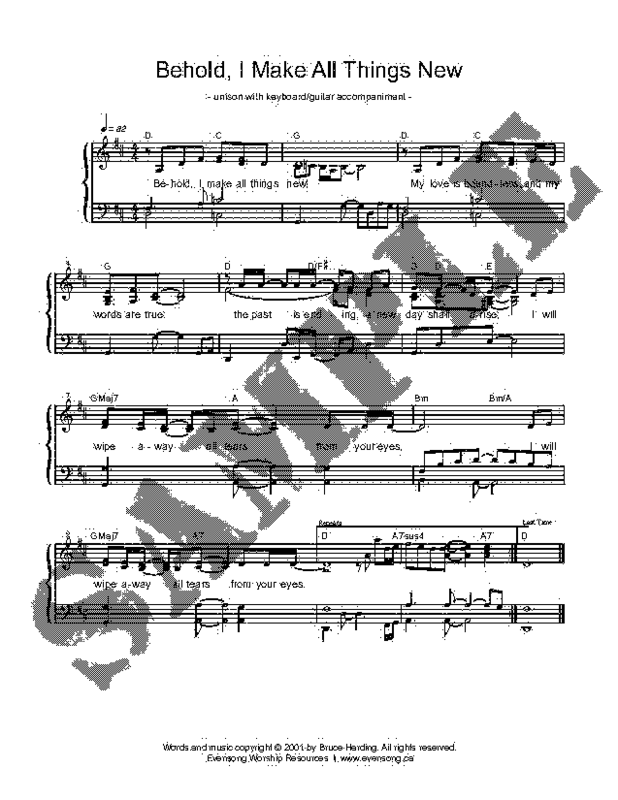 Lyrics & sample sheet music. For this Sunday the phrase "Mountains where the snows meet heaven" is a particularly nice part.